The Parent and Family Resource Guide contains tons of helpful information to help your student succeed. Browse through campus resources, access the College Contract, fill out a semester budget, and much more! 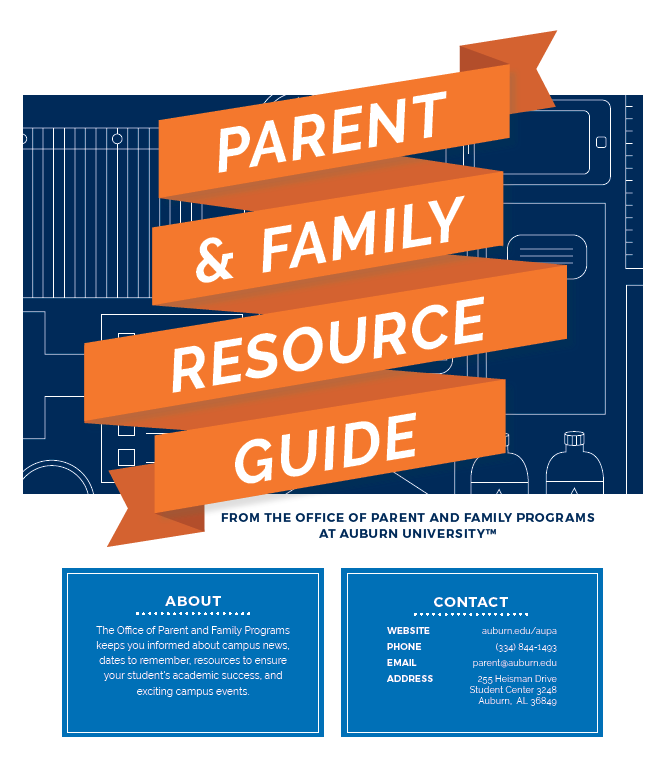 If you need a plain text version of the Parent and Family Resource Guide, please email parent@auburn.edu.